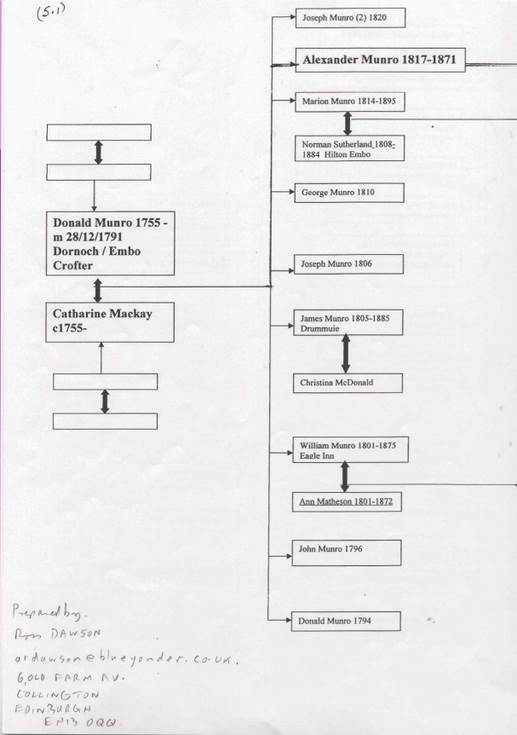 Photocopy of computer family tree print of the descendants of Donald Munro b. 1755 and Catherine Mackay b. circa 1755. William Munro who built the Eagle Hotel in 1846 is first generation. William's daughter Williamina Munro married Alexander Gunn, and they had the Eagle Hotel until 1898. The family tree is accompanied by a note from the compiler.